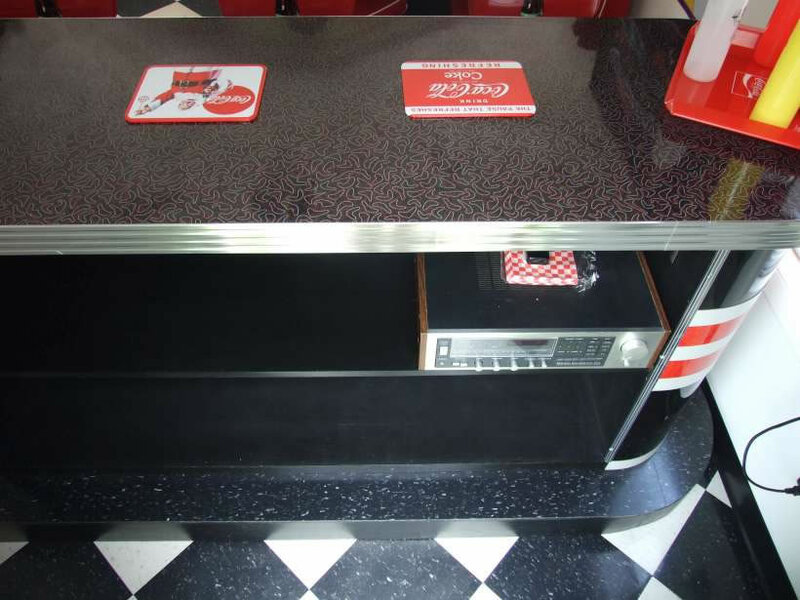 We can custom make and design any size and/or style 1950's retro bar, complete with different colored laminate tops or faces. 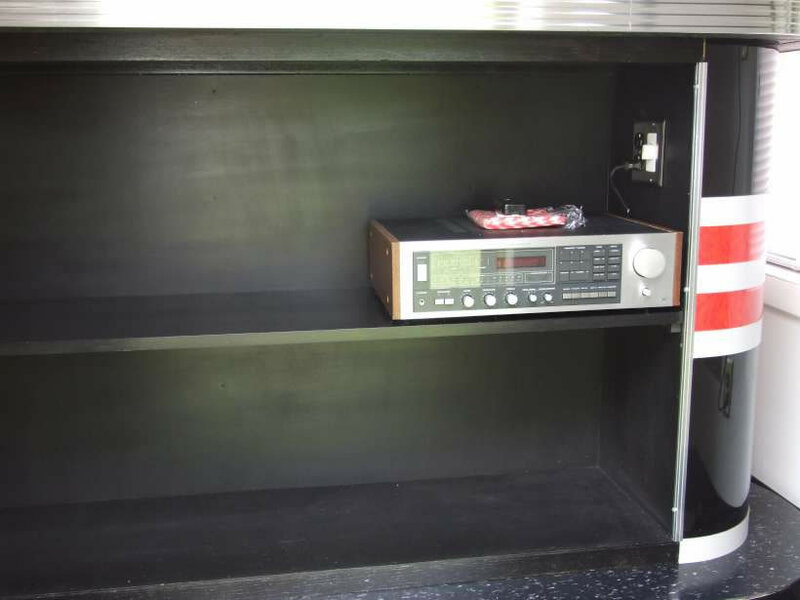 Metal Banding trim detail options range from 1.25" to 2.25". 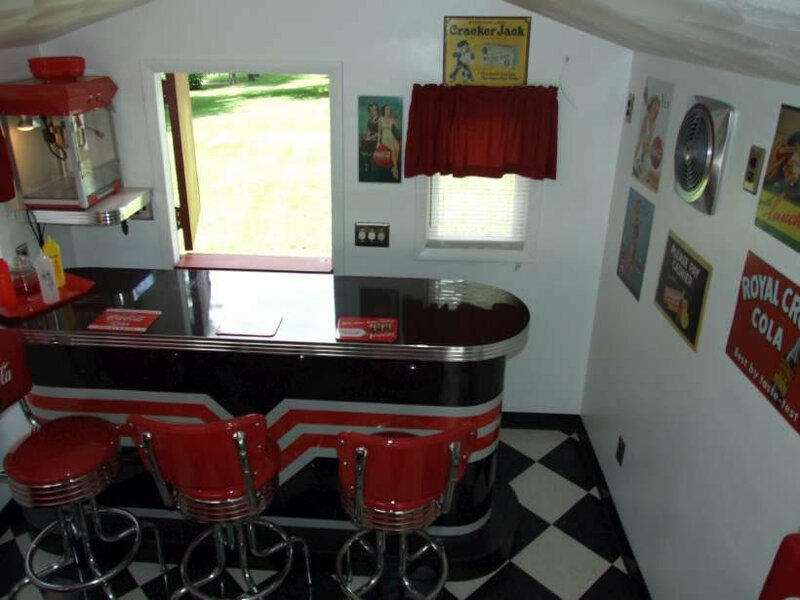 We can provide a basic 1950's retro bar , or a complete wet bar package including sinks, water hookups, lighting and all the accessories that you can dream of. 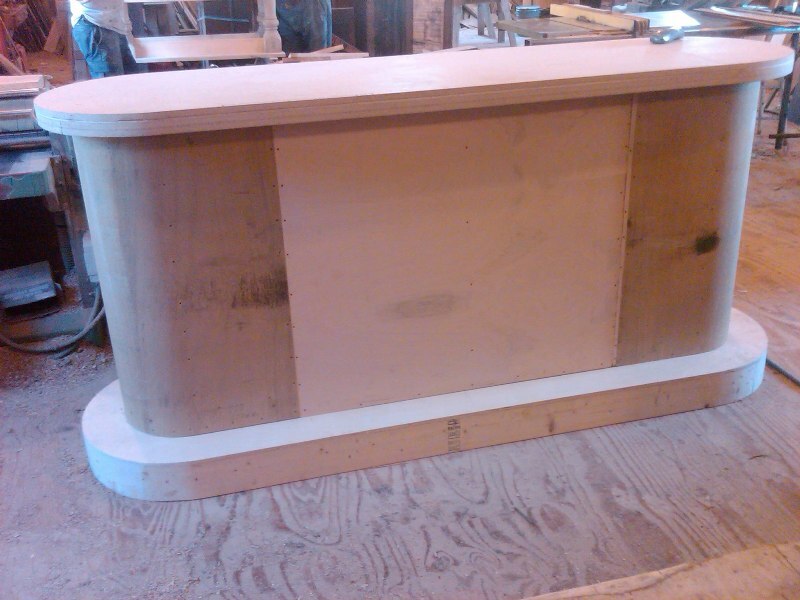 Our custom millwork team is one of the best in the USA. 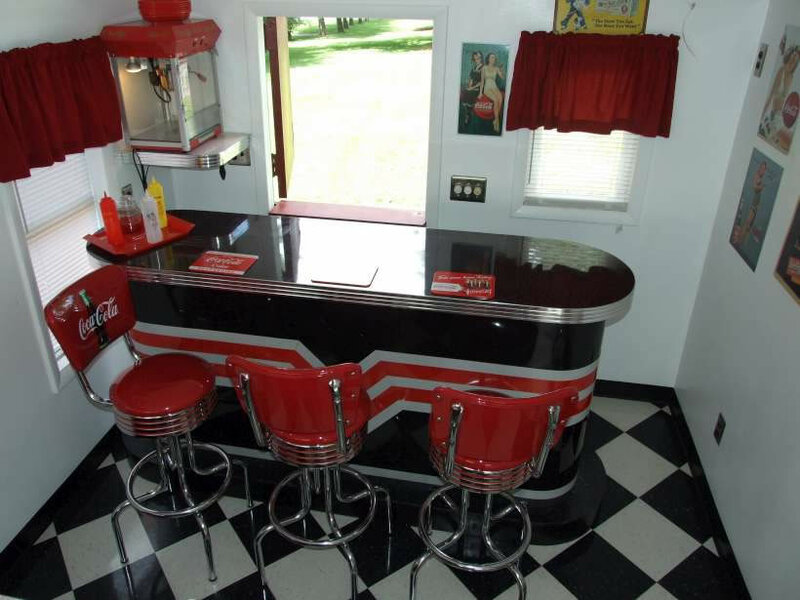 We would be happy to provide you with any style 1950's retro bar that your heart desires. 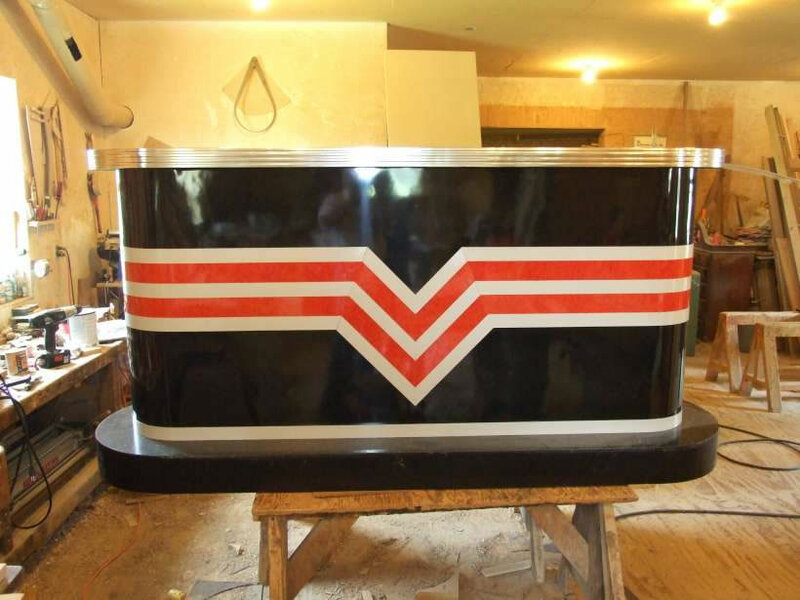 Again please contact our professional customer service team for a quote on your own design or for custom 1950's retro design services. 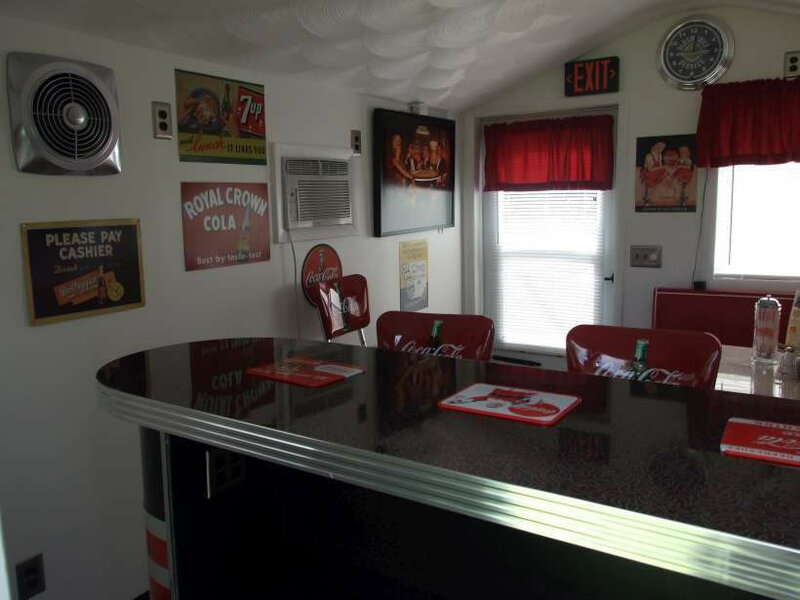 We can cater to any timeframe or design style, however 1950's retro theme is our specialty.